Shop Mother's Day Gifts and Sales - Try It On-Online, Inc.
Mother’s Day is May 8 and it’s time to start shopping for her. Look at these awesome gifts that we found just for her at our Online Mall Shopping and they are all on sale! This beautiful distressed leather tote from Ralph Lauren will compliment the latest Spring pastels. 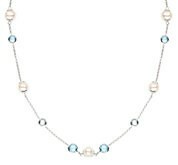 Lord & Taylor jewels like this sterling Freshwater Pearl and Amethyst necklace will beguile Mom. 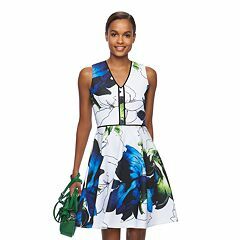 Or this flowered fit an flare dress from Kohl’s that is sure to brighten Mom’s wardrobe. L’Occitane en Provence has this Verbena Gift Set on sale. Verbena is grown along the paths in Provence and it’s relaxing scent refreshes and energizes the body. A gift sure to please a Mother, Grandmother or Godmother. You still have plenty of time to order these gifts for Mother’s Day from our Online Shopping Mall with 130+ Specialty, Designer and Department stores. Shop today. Quantities are limited on some of these items. We find the sales. You shop! Come shop with us.